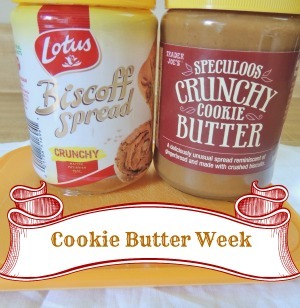 Cookie Butter Week is definitely in full swing on the blog! :) There is just so much cookie butter goodness I could scream. In a large bowl, mix together the cornflakes and toasted coconut. (To toast the coconut, spread the coconut on a lined baking sheet and bake at 325 degrees for about 5-10 minutes. 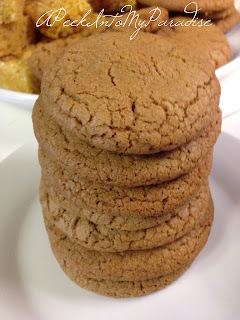 Stir halfway through the baking time & check it often because it can burn easily.) Set aside. In a medium saucepan, heat together the corn syrup, white chocolate chips, and cookie butter. Once melted down and heated together, allow it to simmer and bubble slightly for 2-3 minutes. Remove from the heat and stir in the salt and coconut extract. Immediately pour the heated mixture over the cornflake/coconut mixture in the large bowl and mix to coat thoroughly and evenly. It should be cool enough to handle after a few minutes. Lay out a sheet of waxed paper and using your hands, form the cookie mixture into generous "stacks" and allow them to cool completely. 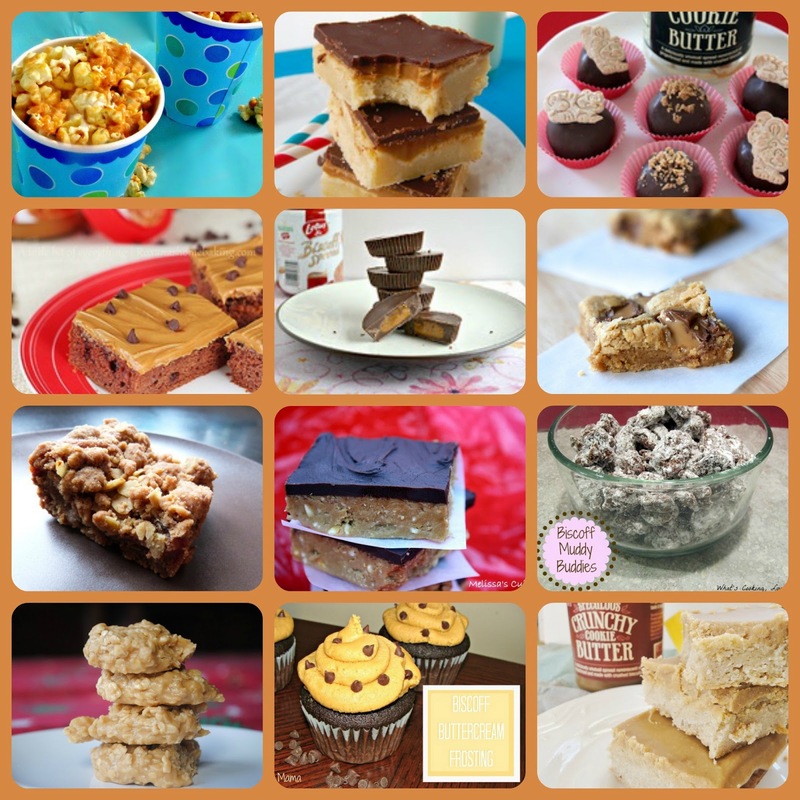 What has been your favorite recipes from Cookie Butter Week so far?